The amount of heat lost through the roof of a property can be truly staggering if the right safeguards aren’t put in place. With our years in the industry, Ashton Roofing have developed techniques that will turn the most inefficient property into an warm and draught free home. Cutting down on your carbon footprint and slashing energy bills, insulating your roof will pay for itself over time, and we offer various options to suit both your budget and your needs. A rigid thermoset insulation core that can be tailored to fit in any gaps or spaces within your roof. Made with a low emissivity composite foil, this pitch roof insulation boasts zero Ozone Depletion Potential (ODP) and has a low Global Warming Potential (GWP). 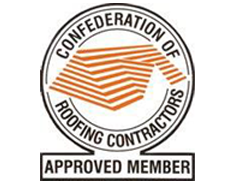 All of our insulation solutions comply with ‘Part L’ of the modern building regulations, requiring any property which is having its roof refurbished to be brought up to modern standards of thermal efficiency. To benefit from the energy efficiency of our thermal insulation products, get in touch and learn more about our fantastic range of carbon neutralising options!